When you move another character with 2 or less power, you may move this card. 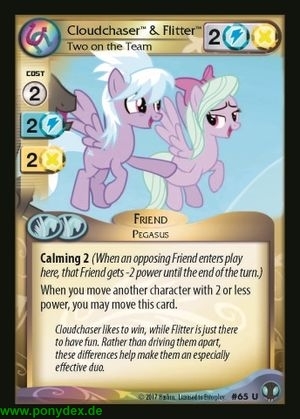 Cloudchaser likes to win, while Flitter is just there to have fun. Rather than driving them apart, these differences help make them an especially effective duo.